Born in 1965 in Bes-Terek, Uzbekistan, Said Atabekov currently lives and works in Shymkent, Kazakhstan. Said Atabekov began creating art in 1993 as a member of the Kyzyl Tractor artist group. As a witness to the successive waves of social and political change in Kazakhstan, an area which saw a transition from nomadic culture to communism and then to capitalism in less than a hundred years, Atabekov explores the intersections and local impact of often conflicting cultures and skillfully identifies and animates elements that reveal their deeper paradoxes. Like many of today’s artists, Atabekov’s work spans a variety of media, from video and photography to sculptures and installations. His use of ethnographic signs is heavily influenced by recollections of the Russian avant-garde and Post-Soviet realities, along with an intimate and often touching analysis of his condition as a contemporary artist. While acutely aware of the attractiveness of the exoticism associated with iconographical stereotypes of Central Asian art, he often refers to them with a touch of irony. Notable recent exhibitions include Suns and Neons above Kazakhstan at the Yarat in Baku (2017), The Other & Me at the Sharjah Art Museum (2014), the 5th Moscow Biennale (2013), Central Asia Pavilion at the Venice Biennale (2011, 2007, 2005), Ostalgia at the New Museum in New York (2011), Time of the Storytellers at the KIASMA in Helsinki (2007), 9th Istanbul Biennale (2005). 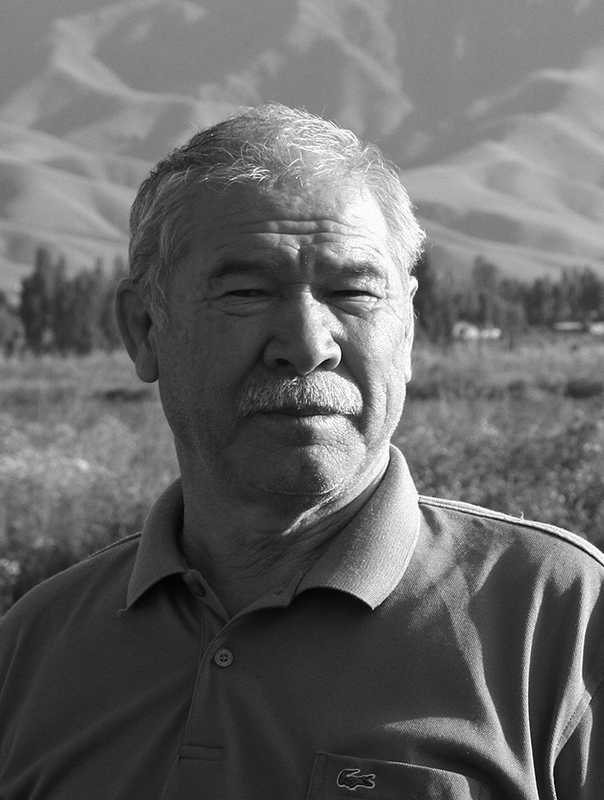 Born in 1952 in the village of Iskander, a former South Kazakhstan region now belonging to Uzbekistan, Smail Bayaliyev graduated from Tashkent College of the Arts. 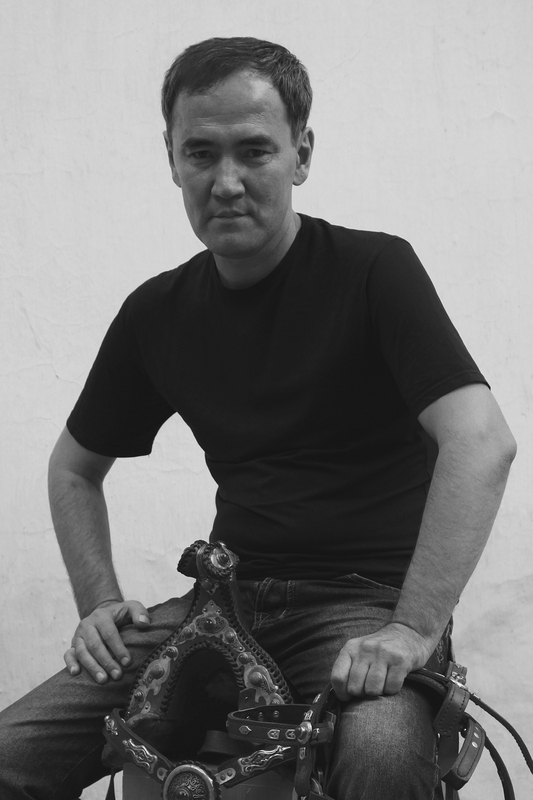 Since 1981, Bayalieyv has lived and worked in the city of Shymkent, Kazakhstan, where he was a part of the first stages of the formation of the art collective Kyzyl Tractor. By the early 1990’s, Kyzyl Tractor became one the most recognizable artistic phenomena of its time. Starting his artistic journey through painting and collage, Bayaliyev has slowly transmitted massive public art pieces, performances and mixed-media artworks which often involve the use of kashma, a central Asian wool. Bayaliyev’s work centers around classical and regional themes, picturing still-lifes of horses and nomadic heritage that is encrypted in cultural codes of today’s society. Bayaliev has created his own unconventional way of deconstructing and revisiting these themes. His sculptures of horses are often left undone and raw, uncovering the ontological incompleteness of those animals when it comes to their roles in the past vs. modern society. In his other series, Bayeliev was inspired by suprematism, surrealism, and cubism, placing those rather western movements into an authentic context of Central Asian crafts and motifs. 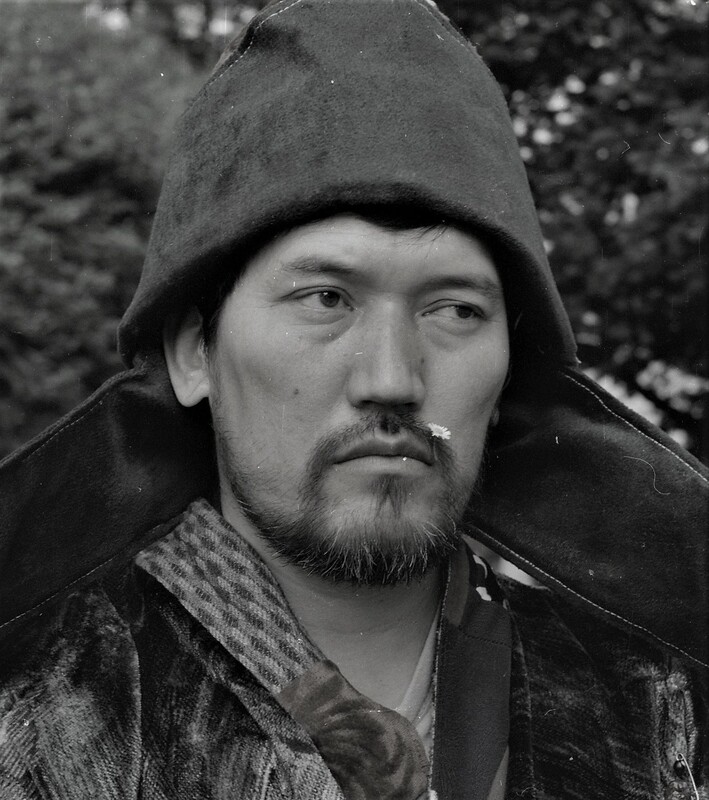 An active and contributing member of Kyzyl Tractor, Bayaliev’s signature exhibitions have included the seventh biennial in Tashkent, the 2003 quadriennale in Prague, ARTBAT FEST 8, and other local and international exhibitions. Noted for his bright individuality and rebellious charisma, Moldakul Narymbetov (1946-2012) was a key figure in the Kazakh art-group “Kyzyl Tractor” (1990). Narymbetov made great contributions to the development and popularization of contemporary art not only in Kazakhstan but also in the Central Asian region. His shamanistic myth-making is archaic in form compared to modern content but allows for Narymbetov to speak and express his identity clearly. While Narymbetov’s sculptures of old rubber auto-tires are some of his most iconic works, his paintings are intense, bold, and conceptual. Narymbetov’s color strokes often correspond with the dynamics of natural life, corresponding with the sonorous colors of the Fauvists. Many times taking the forms of abstract and landscape paintings of rural and tiny settlements, Narymbetov’s uses the victim as a theme in many of his works and often comments on consumer culture, technology, and existential problems. Narymbetovwas a Member of the Arts Academy of the Republic of Kazakhstan, member of the Artists’ Union of Kazakhstan, and winner of the Zhiger reward. He has represented the Republic of Kazakhstan in many events across the world in countries such as Austria, Switzerland, Germany, Czech Republic, USA, Italy, Russia. 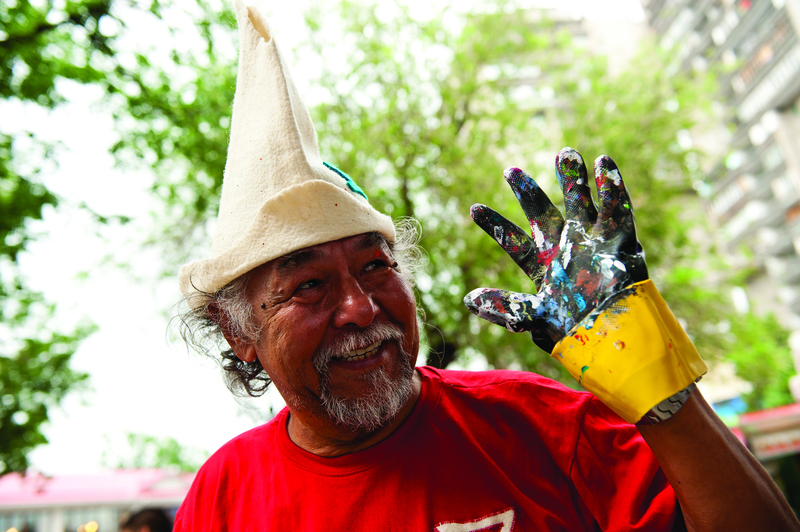 He opened the School of Modern Art in Almaty and has participated in the festivals of contemporary art such as ArtBatFest in both 2010 and 2011. Arystanbek Shalbayev was born in the Keless country of South Kazakhstan in 1959. Soon after graduating from the Almaty Institute for Arts and Theater in 1984, the artist returned to Shymkent where he became a teacher at the Kasteyev school and met fellow teacher Vitaliy Simakov. Shalbayev and Simakov’s close proximity created a space for each to learn from each other and experiment with the compositional qualities of painting. Using painting, graphics, installation, video, and performance, Shalbayev’s practice is an exquisite juxtaposition of subjects and mediums. Shalbayev’s artworks display strong conceptual visual aspects which come together using a solid, almost scientific, methodology—making his process just as important as the message of his artworks. The artist is interested in absurd representations of Kazakhstan’s current-day social, cultural and economic dilemmas, as well as its history and mythological discourse. His latest series of artworks, collectively called Boomerang, reveal the self-destructive fate of Kazakhstan’s natural-resource-driven economy. Arystanbek has participated in a number of personal and group exhibitions in Kazakhstan, the UK, Czech Republic, France and Spain where his pieces have been acquired by local and public collections. Of note, Arystanbek was a part of the show Nomads, a collective exhibition of artists from Kazakhstan in Moscow; Life is a Legend, a show of contemporary Kazakhstan art in Strasbourg, France; and the ArtBat Festival in Almaty, Kazakhstan. Vitaliy Simakov was born in 1954 in the Republic of Bashkortostan. In 1983, the artist graduated from the National Institute of the Arts in Ufa with a bachelor’s degree in fine arts. Soon after, the artist moved to Shymkent and taught a class on spatial-structural composition which resulted in the formation of Kyzyl Tractor. 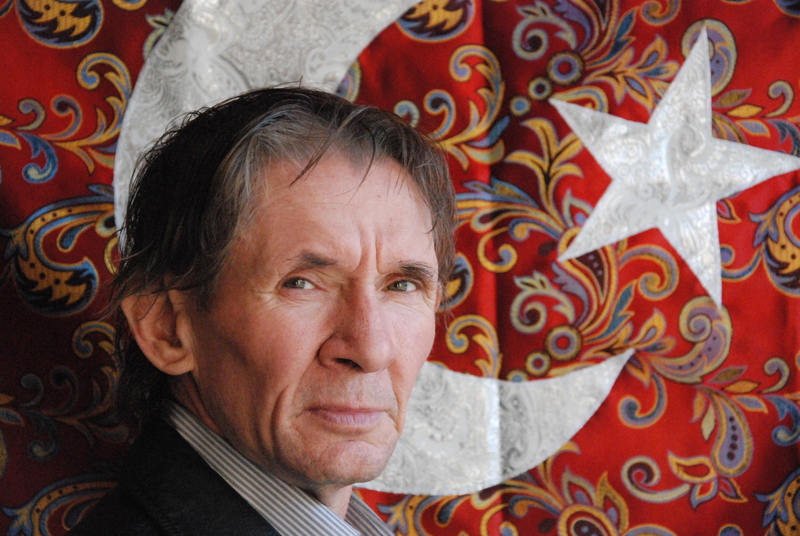 Smakov became a pivotal critical influence in the academic understanding of the Kyzyl Tractor’s artwork as well as an active participant in their performances in the 1990’s. Later, Simakov concentrated his attention on teaching and slowly passed the leadership of the art collective to Moldakul Narymbetov. The artists remained a collaborator and close friend to the artist group until the death of Moldakul in 2012. In the past 35 years, Simakov has lived and worked in Shymkent where he still teaches part-time and has up to 50 graduate students per year.